A Marco Plumbing is a local plumbing company that prides itself on its exceptional customer service and high quality craftsmanship that their plumbers put into every single project they do. The company services Richmond Hill, Thornhill, Markham, Scarborough, Pickering, Ajax, Whitby and Oshawa. A Marco Plumbing offers reliable service for all plumbing problems, big or small, including: drain snaking from sinks to sewers, high pressure flushing, main drain relining, camera inspection, residential services, contractor services, and commercial plumbing services. No matter what the job, they have a plumber to get their clients the professional results they need. 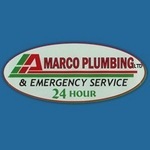 A Marco Plumbing has been serving the GTA and Durham Region for many years. They have built their reputation on their knowledgeable plumbers and their outstanding customer service. The company’s staff is not one hundred percent satisfied with a job until their clients are. The company does not charge additional fees for holidays or evenings and hires only trained plumbers who get paid only when they solve the client’s problem, not by forcing them to purchase more service. The company’s plumbers arrive on time, fully stocked and ready to solve the client’s problem. They make sure the home is left as clean as it was prior to their arrival. At A Marco Plumbing, all of their plumbers are licensed and carry WSIB. Each plumber they employ holds a current and valid certificate of qualification in addition to several years or more experience. There are no under qualified apprentices or non-licensed handymen on A Marco Plumbing’s team.